Liverpool is a city with creativity seemingly seeping from every pore, from theatre to music, from poetry to comedy. Even its football is a culture in itself. The Mersey-based city art scene's several sumptuous satellites revolve around two shining stars, namely Tate Liverpool and the Walker Art Gallery. No history of its art and galleries is complete without knowledge of these two. Perhaps the way was paved by two of Britain's most celebrated animal artists, Liverpudlians George Stubbs in the 18th century and Richard Ansdell in the 19th. Tate Liverpool did not open until 1988. But it soon compensated for lost time. It was the brainchild of Alan Bowness, who wanted to create a “Tate of the North” while director of the Tate Gallery. It took root in a converted warehouse on Albert Dock, to become, until 2003, the biggest gallery of modern and contemporary art in the UK outside of London. Tate Liverpool is today one of four major Tate sites comprising a total of 70,000 artworks. Opening on the 28th February, Keywords: Art, Society and Culture in 1980s Britain, is an exhibition which takes a fresh look at British art from the 1980s and is inspired by Raymond Williams's seminal book on the changing nature of vocabulary, Keywords: A Vocabulary of Culture and Society. Presented alongside Keywords is the first museum exhibition in the UK by Los Angeles-based artist Richard Hawkins. Richard Hawkins: Hijikata Twist presents newly commissioned work by Hawkins alongside a selection of major mid-20th century artworks from the Tate collection. We currently have a fantastic, exclusive ticket offer for Cass Art customers for the exhibition Keywords: Art, Culture and Society in 1980s Britain which opens 28th February at Tate Liverpool. Find out more about the exhibition and how you can receive 2 tickets for the price of 1 here. The Walker's origins date back far further. It was opened in 1877 and named after its founding benefactor, brewer Sir Andrew Barclay Walker, a former mayor of Liverpool. But its collection can be traced to 1819 when the Liverpool Royal Institution acquired 37 paintings from William Roscoe's compilation. The gallery was commandeered by the Ministry of Food during the Second World War and the collection fragmented for safety. The Walker Art Gallery, William Brown Street, today houses on of Europe's finest collections of paintings, drawings, sculpture and decorative art. It is inviting visitors to enjoy its David Hockney: Early Reflections display until March 16. Forty exhibits can be savoured from the younger iconic British artist's life, depicting how his style transformed from the 1960s to the 1970s. New Works, which showcases until February 23, excitingly comprises artworks acquired by the gallery in recent years. Contributors include Anish Kapoor, Yoko Ono and Paula Rego. Liverpool Biennial, based in New Bird Street, plays host to a sublime cornucopia of artworks, projects and an exciting programme of events which help make it the UK's biggest international contemporary art festival. Every two years, newly commissioned and existing works are dispersed in eclectic locations. These include unusual and unexpected public space besides the city's galleries, museums and cultural venues. This year's event is staged from July 5 to October 26. 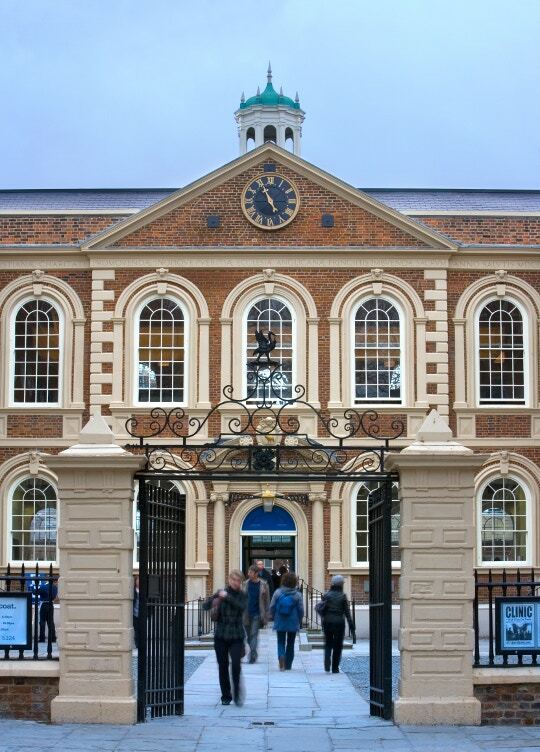 The Bluecoat, School Lane, describes itself as “Liverpool's creative hub”, showcasing talent across visual art, music, dance, live art and literature. Home to four galleries in arguably Liverpool's most historic building, it houses a creative community of artists and businesses. Visitors have until February 23 to witness Soft Estate: Edward Chell. The exhibition features new pieces by Chell that examine the interface between history, ecology, roads and travel. He intriguingly employs eccentric materials such as road dust and etched car paints in pieces which investigate equally unlikely art subjects, such as motorway landscapes. dot-art, Queen Avenue, is a prestigious art showroom which features the UK's seaside and neglected corners in Andrew G Fisher's photographic exhibition Forgotten and Waiting until March 7. Metal at Edge Hill Station, Tunnel Road, was conceived as an “artistic lab” to “champion the need for ongoing investment in artistic investigation”. Open Eye Gallery, Mann Island, is one of the UK's premier photography spaces, with ongoing exhibitions and an archive dating back to the 1930s. It offers free, monthly guided exhibition tours which last 40 minutes.